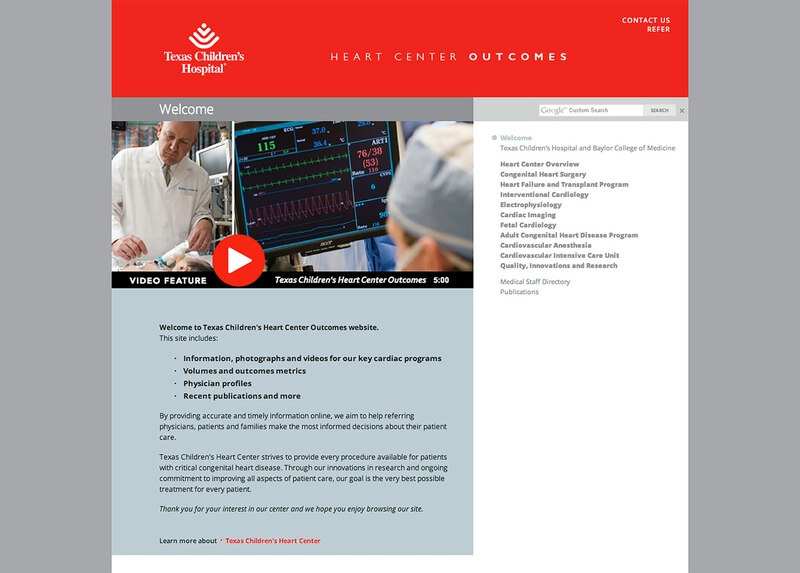 TCH wanted to promote the surgical outcomes for their renowned Heart Center to the medical community. 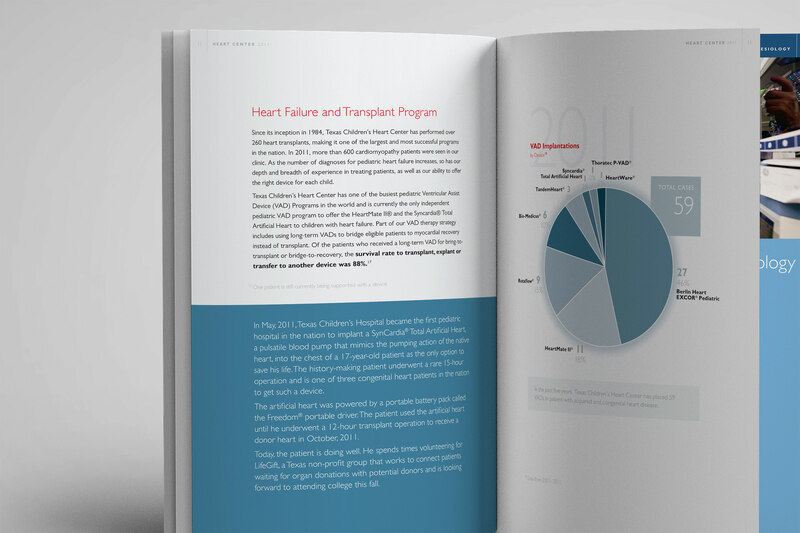 Good Project was asked to develop a design for this annual report that would present the statistics and content in an appropriate way, while integrating into their established brand standards. 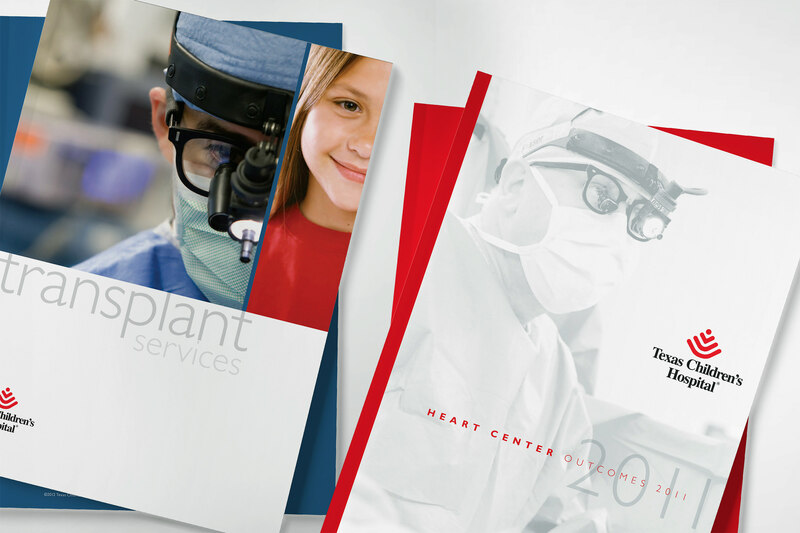 We set out to define a format and layout that could be used each year to present the data, outcomes, research highlights and staff for the department. 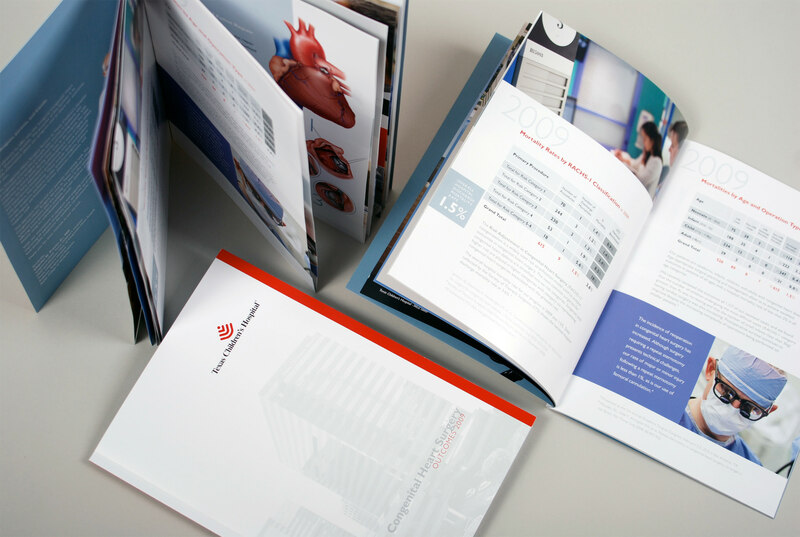 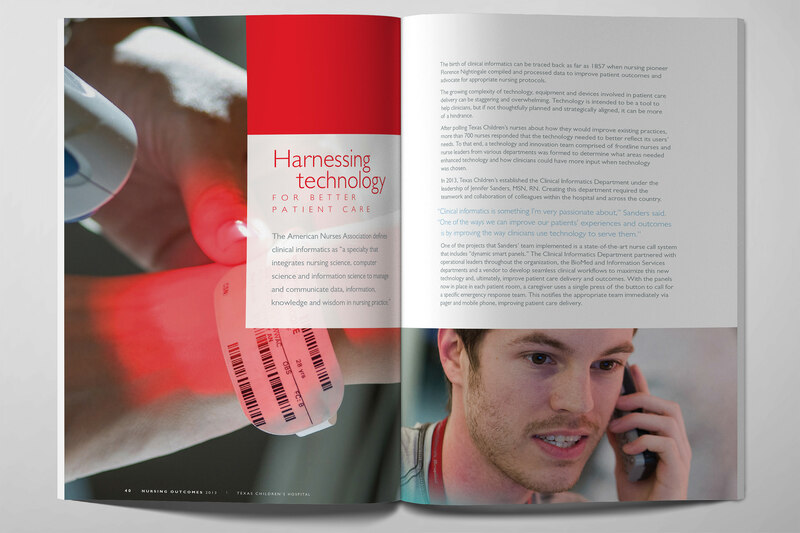 The successful design of the first issue led to the hospital expanding the publication to include all 13 departments - highlighting their impressive outcomes as a healthcare system. 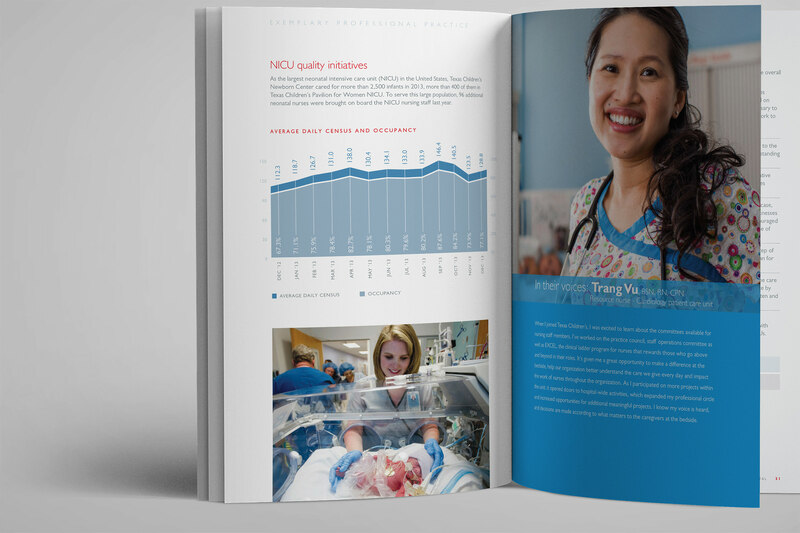 The annual publication was then extended into a Nursing Outcomes publication that highlighted the exceptional work of the nursing staff. 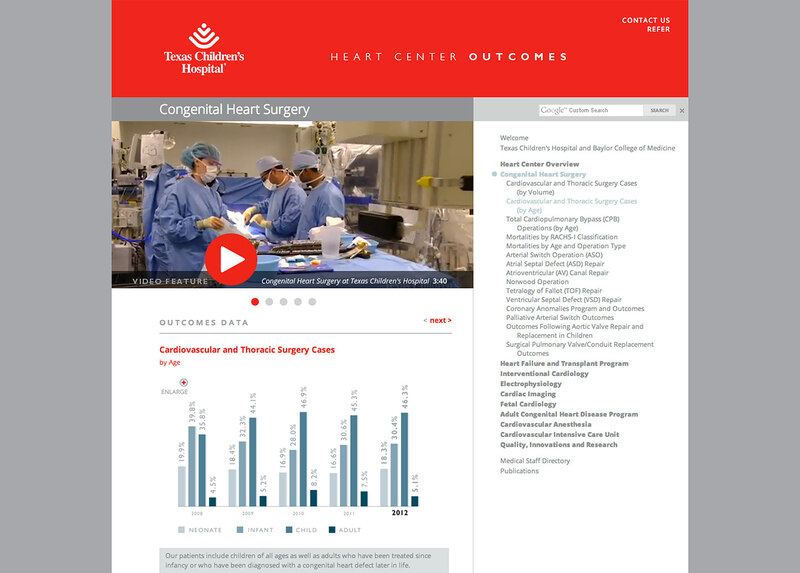 This successful series continues to present the hospital’s performance record each year.